It’s never nice when your beloved tank mates get sick. And although I pray you never have to experience it, it never hurts to have better knowledge and understanding on this subject. 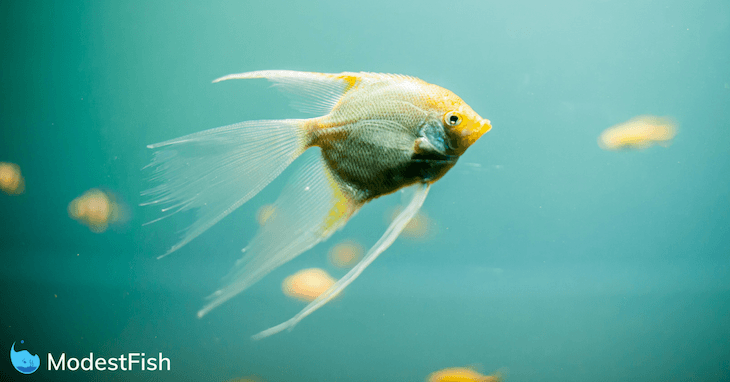 In this article, we’ll discuss different types of common fish diseases, their symptoms, causes, and ways to treat your friends. Hemorrhagic Septicemia, also known as Red Pest due to the distinct red streaks that appear on your fish. If the bacteria enters you fish’s circulatory system it will travel throughout, causing damage to body tissue, blood vessels, and the heart. Often resulting in internal bleeding. The buildup of fluids can then cause Dropsy. This is a very serious condition. Hemorrhagic Septicemia can be caused by various organisms or an Ammonia spike. This is often triggered by poor water conditions with high amounts of decomposing organic debris. High levels of nitrate and a poor Redox tend to be common when Septicemia is present. There’s no known cure for this disease. As the disease is internal, external treatments aren’t often effective, except in slight cases. If that’s the case, treat your aquarium with a disinfectant and clean it. To disinfect, try Acriflavine or Monacrin and use a 0.2% solution at the rate of 1ml per liter. Both will color your tank’s water but will disappear as they dissipate. If your fish don’t respond well, don’t proceed. Your other option is to add an antibiotic to the food, good options are chloromycetin or tetracycline. They tend to come in 250mg capsules, so if you’re mixing into 25 grams of flake food one should be enough. A good tip is to keep your fish hungry, as they’ll be more likely to eat the mixture before it can dissipate. Frequently mistaken for a fungal infection (Cotton Fin) due to its mold-like lesions, this is a common bacterial infection in aquarium fish. It’s highly contagious and the outcome is often fatal. Columnaris is common where high bioloads or stressful conditions exist. These can be due to overcrowding, injury, inadequate diet, poor water quality, and unstable pH. The bacteria can stay active in your tank for up to 32 days if the hardness is 50 ppm or more. The disease does not survive in salt solutions of 1% or higher. So salt can be a great initial treatment if the case is less severe. The use of a separate treatment bath can be great for infected fish, but, in severe cases, treatment of your entire tank is a must. Another option would be to buy an antibiotic that treats gram-negative bacterial infections. Oxytetracycline is regarded as a very effective option. To prevent the spread, remove any dead fish ASAP. This will stop surviving fish from picking at the infected fish, which can result in internal infection. 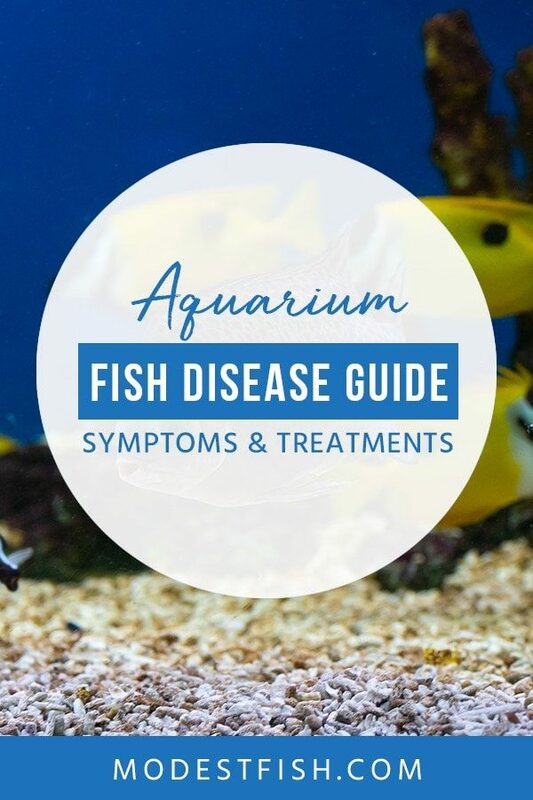 Not to be confused with the human disease, it’s common in tropical fish tanks. It’s possible that it could go unnoticed, as the disease is not highly contagious and has no sudden dramatic effects. Like the human version, it may not show signs until years after infection begins. M. fortuitum, M. flavescens, M. chelonae, M. gordonae, M. terrae, M. triviale, M. diernhoferi, M. celatum, M. kansasii, M. intracellulare, and M. marinum. And the main cause for this disease is a poorly maintained aquarium. Mycobacterium thrives in low pH values, low oxygen, high soluble zinc, fulvic and humic acids. All the problems you’ll encounter if you’ve overstocked or can’t be arsed to maintain your tank. There is no current vaccine or satisfactory treatment available. Once a population of fish is infected, the most likely scenario is euthanasia, followed by disinfecting your tank. It makes little sense to attempt to maintain a population with the illness. They’ll have chronic health problems, poor growth, and feed conversion rates. Infected fish will be a constant source of infection. Important Note: If you suspect your tank is infected with Fish TB, you should take precautions. Although it’s very unlikely, it’s possible for humans to contract this disease from fish. If you have any cuts, scratches, or lesions etc. on your hands don’t put them in the tank. If you need to put your hands in the tank, wear rubber gloves and keep sterilizing gel close by. And don’t use anything from the aquarium on anything else in your house. Actually a symptom of an infection caused by bacteria present in all aquariums. There’s a buildup of fluid inside of your fish which damages its internal organs. The mortality rate is high, even with fast treatment. Only if the diagnosis is made in the early stages is your fish likely to respond to treatment. In most cases, Dropsy is the caused by the bacteria Aeromonas. Now, this bacteria is commonly found in most fish tanks, however, it’s likely to infect fish that are stressed due to overcrowding or poor water conditions. It can also affect fish with poor kidney function, which results in the absorption of water into the body cavity – causing the stomach to swell. 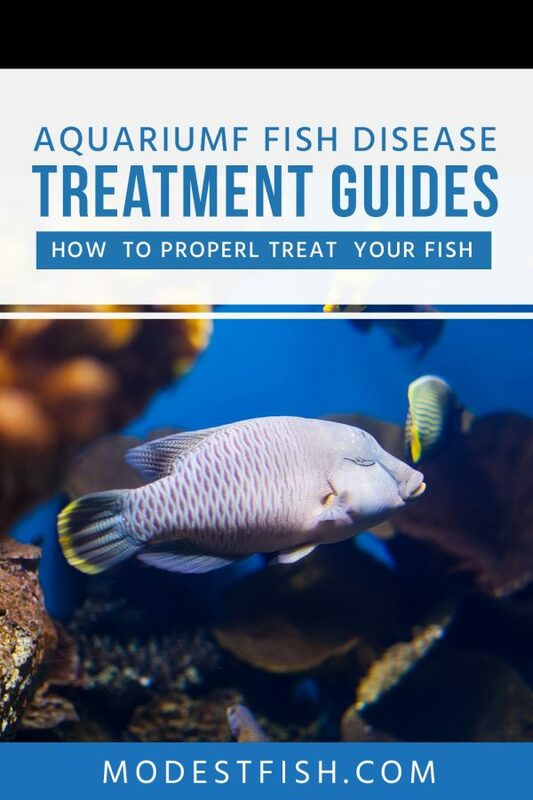 Unfortunately, Dropsy is usually untreatable and your fish will not survive. However, if you catch it early enough you can attempt to treat the condition. It’s best to isolate the fish in its own treatment tank. You can then add a small amount of Epsom salt. No more than 1/8 teaspoons per 5 gallons of water. Epsom salts consist of magnesium sulfate, unlike sodium chloride, which is found in regular aquarium salt. Epsom salt will help to draw out some of the excess water from the fish’s body cavity and tissues. You should also feed the affected fish with antibacterial food if it’s still eating. Adding Maracyn Two to the tank can also help, as it treats gram negative bacterial infections like Aeromonas. Use Epsom salt to help treat diseases like Dropsy and Popeye. 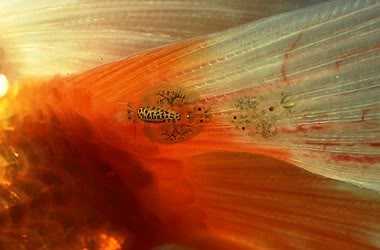 Fin Rot starts at the edge of your fish’s fins, destroying more and more tissue until it reaches the base. 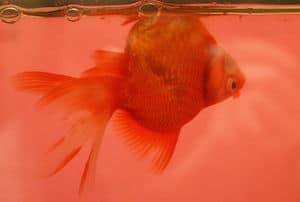 At this point, your fish will never be able to regenerate the lost tissue, and the disease may start to attack its body. 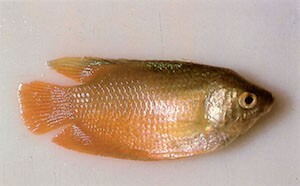 Fin Rot is often caused by several bacterial diseases such as Flavobacterium Columnare, Aeromonas, and Pseudomonas. However, although it’s caused by these types of bacteria, the root cause of Fin Rot is always due to the fish’s environment. A poorly maintained tank or exposure to stress is a contributing factor. When fish are moved, housed in an overcrowded tank, or with aggressive fish that chase and nip at their fins, they’re more vulnerable to Fin Rot. There are three ways you can go about treating Fin Rot: environmental, antibacterial, and antibiotics. Fixing your aquarium’s environment is fundamental and will prevent further issues. Perform a couple of large 20-50% water changes with clean, aged water, and attempt to remove as much debris and detritus as you can. You should check and clean all your filters, give the gravel a good clean, especially if you’re using an undergravel filter. Test for Ammonia, Nitrites, and Nitrates. Look out for any tank bullies that could be nipping or fighting with other fish. You may have to remove them. If your tank is overcrowded, you’ll need to rehome some of them. For antibacterial treatments, most commercially available medicines can be effective. Melafix is a good example. If you can, separate the infected fish and always follow the instructions. If you catch Fin Rot early enough, you shouldn’t need to use antibiotics. But, if you do, you’ll want one that’s effective against gram-negative organisms. Also known as exophthalmia, it’s caused by a hemorrhage produced by gas in the capillaries of the eye socket, affecting one or both eyes. 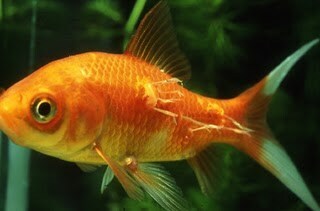 Your fish’s eye(s) will start to protrude from its head, and if left long enough without treatment, can fall out. Not often fatal, however, if you don’t treat Popeye, it could spread and cause death. There are two types of Popeye: Unilateral and Bilateral. The root cause of a bilateral infection tends to be due to chronically poor water conditions for extended periods of time. It’s generally found in aquariums that aren’t taken care of properly or have not fully established the nitrogen cycle. While Unilateral Popeye may be caused by physical damage to the fish. This can include rough handling, collisions or fights between fish, and scraping the eye against hard objects. Popeye can be difficult to treat because it consists of three different problems: damage to the cornea, accumulation of fluid behind the eye, and bacterial infection. Assuming the fish is subjected to optimal water conditions and a balanced, vitamin-rich diet, minor corneal damage can improve over time. And if your fish is healthy (in other regards), the swelling can diminish with time. 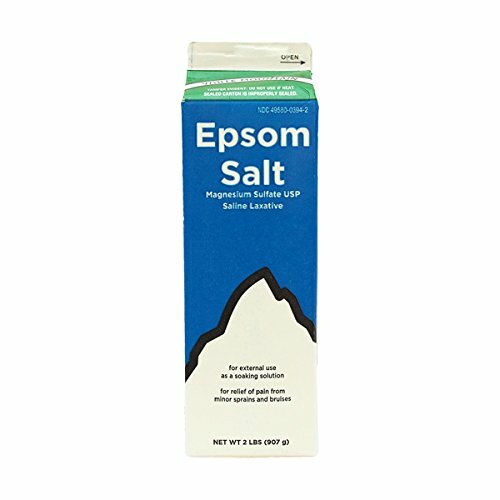 Epsom salt can be used to reduce swelling and should be used at a dose of 1-3 teaspoons per 5 gallons. It can be used to treat both salt and freshwater fish, however, it’s best to do so in a separate hospital tank. Antibiotics and antibacterials similar to those used to treat fin rot can be useful for preventing damage to the cornea turning into full-blown Popeye. However, once Popeye develops, different medications will be needed. Look for antibiotics used to fight against internal and systemic infections. And it’s best to administer them in food rather than adding to the water. 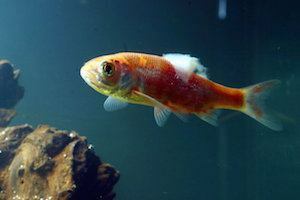 Your fish’s eye will come cloudy/hazy to the point of whiteness and can lose its vision. These can vary, it could be due to an increase in parasites, severe stress, old age, or malnutrition. 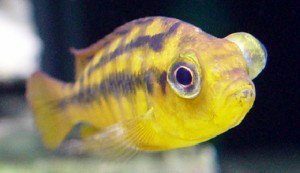 But, the most common case of Cloudy Eye in aquarium fish tend to be as a result of poor water quality. Especially when the pH drops too low. You’ll need to investigate the quality of water in your tank. Test the pH level of your aquarium, if it’s below 6.8, and especially if it’s lower than 6.4, perform more water changes. Once the water quality higher, fish tend to recover by themselves. If that doesn’t work, treating the fish with Melafix is recommended. 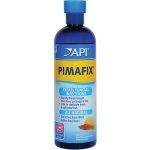 This is an all natural treatment for bacterial fish infections, symptoms of which include: open red sores, fin and tail rot, mouth fungus and cloudy eye. 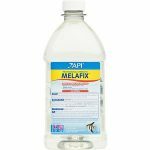 Melafix is also recommended when introducing new fish to a new or established aquarium to reduce the risk of disease. Rather than a single disease, the name refers to issues which affect your fish’s swim bladder. 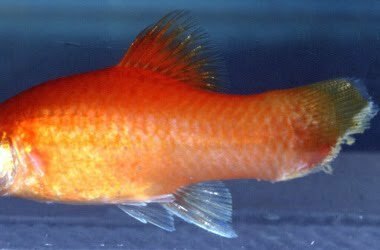 It can strike the majority of species (most common in Goldfish and Betta). 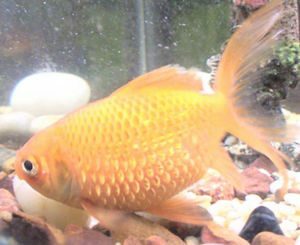 Your fish’s swim bladder won’t function normally due to bacterial or parasitic infection, physical damage, or birth defect. 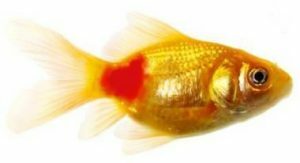 Swim Bladder disease can be caused by compression of the swim bladder, bacterial or parasitic infection, physical damage, and birth defect. Compression of the swim bladder can happen as a result of rapid eating, overeating, or gulping air. Eating freeze-dried or dry flake food which expands when it becomes wet can sometimes lead to an enlarged stomach. Parasites or bacterial infections can inflame the fish’s swim bladder causing the disorder. 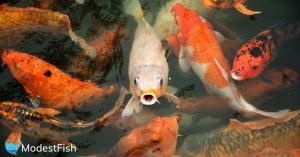 Physical damage from a fight, hard blow, or fall can damage the swim bladder on occasion. In some cases, the swim bladder has become deformed as a result of breeding. 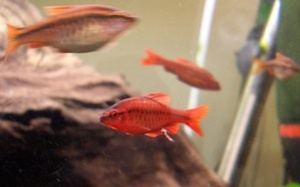 Blood parrot cichlids and fancy goldfish are common examples. While they may swim properly when healthy, constipation and physical injuries can affect them more severely than normal fish. Due to the different causes of Swim Bladder, there’s not one single medication that can be recommended. Bacterial/parasitic one way, physical another. However, exposing the fish to warmer waters can help. You should transfer the fish to a hospital tank filled with water from the main aquarium. The heater can be set up to 9 degrees F above the main tanks temperature (take care doing this, some species are sensitive to warm water and lower oxygen levels). Don’t feed the fish for 3 days, on the fourth day, feed the fish cooked and skinned peas. You can achieve the best consistency by microwaving or boiling them for a few seconds. This can often resolve many cases of Swim Bladder Disease. Lowering the waterline can also help. However, you should always leave it a few inches above the height of the fish so you don’t risk exposing it to dry air. If this doesn’t work, and the fish is having normal bowel movements, it could be the sign of an infection. Treatment with a broad-spectrum antibiotic may help. Note: this disease is rarely curable. Ich is one of the most common and persistent parasitic diseases found in aquariums. It’s caused when a protozoan attacks and attaches itself to your fish’s body, fins, and gills. Labored breathing. Your fish may gasp for air at the surface or stay by the filter to try and get more oxygen. A major cause of this disease is sudden temperature drops. This can happen during colder winter months or if replacement water is at a lower temperature. Outbreaks can also occur when you introduce that were incubating the disease into a poorly-maintained aquarium. As well as decorations or plants that are carrying cysts of the parasite. Once the parasites establish themselves in your aquarium, it’s difficult to control because of the rate they reproduce. If you don’t control it, there’s a 100% mortality rate. So it’s important you act fast. Because the disease is so common, you can easily pick up medication from your local aquatic shop or online. Follow the instructions carefully and always remove carbon from your filter when medicating. You should also use other treatments alongside medication. Turning up the water temperature to as high as 30°C/86°F (if your fish can tolerate it), as this will help speed up the life cycle of the parasite. 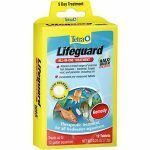 Combining aquarium salt (not table salt) to increased temperatures will further effectively kill off Ich. Salt can disrupt the fluid regulation of Ich and helps your fish’s natural mucous or slime coats to protect it from the parasite. 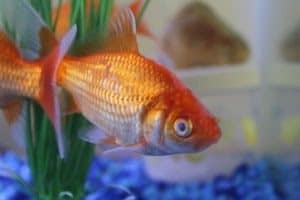 Also known as ‘Rust’, it’s a common disease in aquarium fish, and has the potential to kill every inhabitant in your tank. Caused by a species called Oödinium, it’ll find and attach itself to your fish’s skin and gills. destroying the cells and feeding off of the nutrients inside. Once it’s done feeding, it drops off – dividing into dozens of cells. 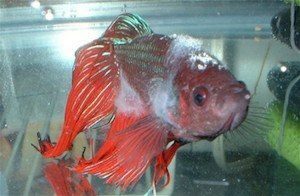 Velvet disease is caused by one of several species of Oödinium and is common in poorly maintained aquariums. Including abrupt changes in water temperature, not performing frequent water changes, adding new fish without quarantining, and the introduction of plants with cysts (new plants should be disinfected before they’re introduced). It’s highly contagious and is usually in advanced stages before being diagnosed, so you should take action as soon as possible. Common medications used include copper sulfate, methylene blue, formalin, malachite green, and acriflavin. All of which can be found in common fish medications designed to combat this disease. Remember to always remove your activated carbon when medicating your tank. Velvet parasites rely on photosynthesis for some of their energy, therefore dimming your aquariums lights or leaving your tank in total darkness can aid the treatment process. Raising the water temperature can help speed the process. But, this tactic is not practical for all fish and may induce further stress – further weakening your fish’s immune system. Also known as Hexamitiasis, this parasitic disease can affect both fresh and saltwater fish. 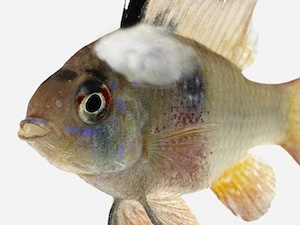 Lesions can appear on the head and flanks of the fish, hence the name: Hole-in-the-head. This infection can also be responsible for head and lateral line erosion (HILLE) disease in fish. Pro Tip: Not all species of fish show the same symptoms, and do not always develop lesions to the same degree. Causes of this disease have been long debated, and nobody can say with certainty what the main trigger is. However, the most accepted cause is the use of activated carbon in closed aquarium ecosystems. Other factors can include nutritional deficiencies, especially key vitamins and dietary iodine. Water quality can also play a role. Aquariums with high nitrate levels can cause fish to develop the illness. If the infected fish has developed pale, eroding holes over its head, it’s in real trouble. The open lesions provide an entry point for other pathogens which can cause further illnesses. However, It’s possible for infected fish to improve when all activated carbon is removed and large percentage water changes are performed. Improvements in nutrition have also been shown to benefit the fish. This can infect a wide variety of different Tetra species. It’s a set of bacterial infections caused by a parasite which enters the fish, invading the stomach and digestive tract – consuming the fish from the inside out. 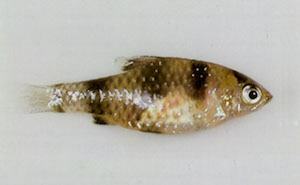 Caused by a parasitic organism known as Pleistophora Hyphessobryconis, it feeds on the fish until it dies. This is can occur when fish eat other dead fish or even from eating live food servings. The live food can act as a carrier, transmitting it to your fish once they eat it. Unfortunately, there’s currently no medicine or treatment for infected fish. You should remove the infected fish and humanely euthanize them to stop further contamination. Your best course of action would be to take safety measures against a second outbreak. You can do this by maintaining high-quality water levels and regular cleaning. When buying new fish, be very strict when choosing, and always quarantine them for a couple weeks before introducing them. Fungi are opportunistic, and given the chance, it will invade most organic material, including live tissue. If you maintain healthy aquarium fish you shouldn’t have a problem, as the mucus layer on their skin will prevent the spores from infecting its living tissue. Body fungus tends to appear if your fish’s mucus layer is damaged and it’s living in unhealthy conditions. Rough handling, fin nipping, and fighting can all lead to damaged mucus. Diseases which cause open wounds like Ich, ulcers and Hole-in-the-head disease can also lead to body fungus. Environmental stress caused by chilling, poor water quality and incorrect water chemistry can weaken your fish’s immune system and lead to Fungus growth. You’ll need to act fast, because it can spread rapidly on your fish, making it vulnerable to secondary infections. And Fungus itself will kill your fish if it’s not treated. There’s a number of commercial medications available for treating Body Fungus. These tend to be based on organic dyes, like malachite green. However, antifungal medications are not suitable for all species so isolate the fish in a hospital tank. 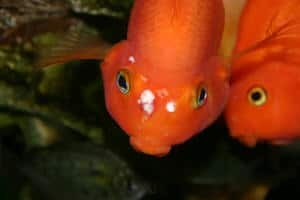 Also known as Cotton Wool Disease, it’s a condition that typically affects aquarium fish with weak immune systems. Characterized by the cotton wool growths, it’s fairly common and it’s important to address this immediately before it can cause a lot of damage. Cotton Fin looks similar to Cotton Mouth disease, however, Cotton Mouth’s a serious bacterial infection called Mouth Fungus (Even though it’s not a fungus). It can be difficult to tell the two apart, but generally, Cotton Mouth has a rougher, more granular appearance and can be a dull grey-white than true white fungus. Poor water quality, decomposing material, and not maintaining your tank properly can lead to Cotton Fin. 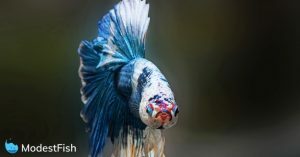 However, even if you’re very good at maintaining your tank, old fish or ones suffering from an injury could contract the disease. Especially if your fish is bullied or fighting a lot. You’ll be pleased to know that treatment is relatively easy, and can be done with fungal treatments. The basic four used are salt, Methylene blue, Malachite green, and Acriflavine (although this is now getting withdrawn because it can be toxic to humans). Malachite green is readily available and is known to be effective. You can also add aquarium salt to your tank at a low level of 1-3 grams per litre. This common viral infection affects fresh and saltwater fish’s skin and fins. Not serious, per say, as it rarely ends in death; it only disfigures fish. This virus can only infect your fish if it’s introduced to your aquarium by an infected fish and live food. You can reduce the chances of an infection by quarantining new fish for a few weeks before adding them. As well as avoid feeding your fish live food or only feeding with home cultivated live food. You may be disheartened to know that there’s no good treatment currently available. However, if you maintain the correct water quality, chemistry, nutrition, and population density, most cases of Lymphocystis will resolve itself: warm water fish may only take a few weeks. Coldwater or cool water fish up to 6 weeks. If your fish has many growths covering important organs (e.g. gills), there may be a high chance of a secondary infection. If this is the case, isolate and monitor for bacterial, parasitic, and fungal infections – treat with appropriate drugs. Flukes isn’t the name of a single disease, rather the name of a number of parasites. Commonly called Gill (Dactylogyrus spp.) or Skin Flukes (Gyrodactylus spp. ), they’re common in freshwater tropical and marine fish. Unlike other health problems in fish, Flukes can infect a healthy fish. They’ll attach and drill into the flesh of your fish, leaving holes which can result in secondary infection. If they attach to the gills, they’ll reduce your fish’s ability to take in oxygen. If they reproduce, then your fish will become listless and die of either a bacteria infection or suffocation. Pro Tip: Pale fish with drooping fins, rapid respiration and/or hollow bellies indicate more extensive infestation. A true diagnosis can’t be certain without looking at biopsies or scrapings under a microscope. Bad environmental conditions such as poor water quality, overcrowding, high ammonia, and stress create conditions that can lead to outbreaks. Flukes are commonly present in aquariums, however, they’ll remain harmless under favorable conditions. You can treat your fish with Praziquantel. This is an anti-worm medication which prevents Flukes and treats infections caused by them. 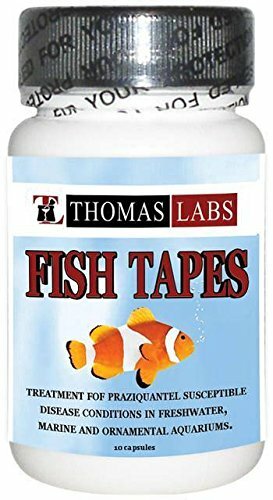 A huge advantage of is medicine is that it’s harmless to all species, not toxic to plants, and has no negative impact on aquarium filters. Praziquantel is a proven method to treating Flukes and any infections caused by Flukes. These threadworms can infect all types of fish and can affect all organs and cause severe damage to your fish. 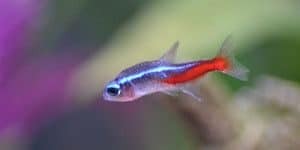 They can be hard to treat, therefore it’s vital to prevent introducing them into your aquarium. They have to be introduced into your aquarium. Adding something organic like wood, fish, and raw fish food can infect your tank. Leaving uneaten food in the water can increase the chances of an outbreak. However, Nematodes can be present in your tank and not cause problems, unless your fish becomes weakened. You could try treating your fish using Parachlorometaxylenol. You can mix it in their food or as a bath, in which case you should use 10 ml per liter. Another treatment could be to feed them medicated fish food containing Thiabendazole. However, this can be hard to find and difficult to get the fish to eat. To prevent further outbreaks, try reducing the amount of food you feed your fish and siphon up uneaten food. 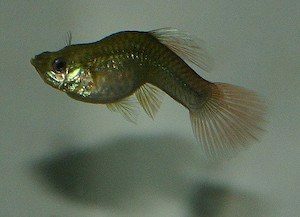 Adding Gourami or Pleco fish will help clear your substrate of uneaten food. This parasite is extremely rare in aquarium fish, and despite its name, it’s not a worm. It’s a copepod, and it’s easy to spot. Named “anchor,” because they’ll get deep into your fish’s body (commonly in the tail or dorsal fin). This damage weakens your fish – opening it up for new diseases or secondary bacterial infections. 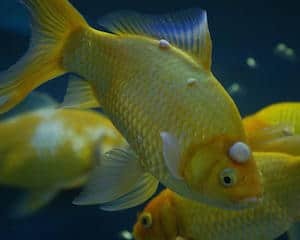 It’s caused by adding fish into your aquarium which is already carrying the parasite or plants that have larvae on them. Potassium permanganate is considered the best treatment, and it can be used as a tank treatment or dip. Other options include formalin dip, salt dip, and modern antiparasitics. Removing the parasite with tweezers is one of the surest ways to get rid of it. You’ll need to take care when doing this. Make sure you don’t break the tail off; leaving the head inside. Dip the fish back into the water every few seconds so it can breathe. If the parasite has burrowed deep into your fish this may not be a good idea. Pulling it out could cause more trauma than leaving it in and treating it. One of the biggest parasites, ranging from 5 to 10 mm in length, they’re easy to spot if you know what you’re looking for. You tend to find them located behind the find or around the head, in sheltered locations. They’ll attach and feed off of your fish using their spines, suckers, and hooks – causing it intense irritation. Your fish will become damaged and stressed through constant piercing of its skin. Bringing the danger of opportunistic bacteria and secondary parasitic infestations. Usually occurs when a fish from an outdoor pond is transferred into an indoor aquarium. Lice will travel from fish to fish, spreading bacteria and viruses. You’ll want to get rid of them fast. Holding the fish in a damp cloth and using tweezers to remove the parasite and cleaning the wound with an antiseptic is a common method. If you don’t want to do this, you can use specialized medications. If you’re manually removing them, it’s recommended to treat the whole tank with medication to kill any free swimming parasites. Organophosphates tend to be an effective cure. The ordeal of dealing with diseased fish isn’t fun for anyone. So the best way to ensure your tanks inhabitants live a long happy life is to create a healthy stress-free environment for them. A proper diet will do an excellent job of providing your fish with the range of nutrients it needs to stay healthy. Maintain suitable water temperatures with no sudden changes. Fast changes in water temperature can be extremely stressful for your fish and compromise their immune system. We recommend investing in a quality heater and thermometer. Water quality is vital to keeping happy and healthy fish. Investing in an efficient filter is key for removing debris and promoting healthy bacteria in your tank. Perform frequent water changes and use test kits to make sure ammonia and nitrate levels are safe. Monitor your tank regularly to ensure everything’s okay. Equipment malfunctions or deceased fish can quickly create a toxic environment for your fish. It’s vital you catch and fix these problems ASAP. When you purchase a new fish, make sure they’re free of all signs of stress and disease. Be picky and take your time making sure that they’re healthy. And always quarantine a new fish for a few weeks to ensure it’s not going to contaminate your tank. Please note: Even though we’ve extensively researched credible sources to provide you with the best information, what you’ve read should only be used as a guide. We’re not professionals with lab coats and clipboards. Always consult a professional if you have concerns about your fish’s health. Thank you for the great info and a great web page i saved it in my favorites. Thank you for taking the time to comment, Charlie. Really happy to hear you’re finding our content useful, but I hope you never have too many issues surrounding fish diseases! Happy fishkeeping! 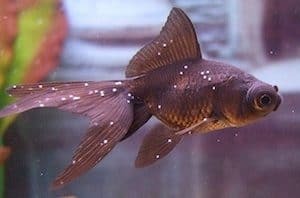 This is a great site for people to read and see what some of the problems fish can have and help us identify and treat. Thank you, Nicole. Happy fish keeping, hope you don’t have to use this specific post too often!! Great guide to dx fish!! We are having a pretty bad problem with our tanks and are trying to figure out with is wrong with our fish. It seems like they have multiple diseases based on your guide. Thanks for the help. Hey Pamela, thank you for taking the time to comment. I’m so happy you’ve found this useful! I wish you all the best. Let me know if you discover anything not mentioned here and I’ll update it. This hobby can be so unpredictable, we love to hear peoples experiences and share them if possible. This was a comprehensive and very informative guide of fish illnesses. Great work Christopher. wonderful..!! that was a great site with all the information i need or any other fish hobbyist needs. thanks for sharing the information. Most valuable article I have ever read regarding fish disease. Hello, I really appreciate what you are doing here, please what can really cause cat fishes to suddenly change in color to green.Please kindly advise on this.Thanks. Comprehensive and easy to understand. Just what I was looking for. Thank you very much.